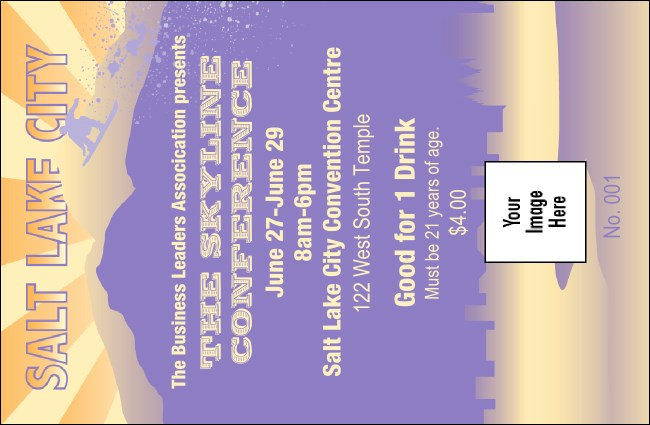 The glass is always half full when you use a Salt Lake City Drink Ticket! Featuring a classic view of the city and the lake in front of the Wasatch Mountain rage, with an airdog flying over the peak, this fully customizable ticket helps your event budget overflow! Make it an event to remember with an SLC Event Kit.